After decades of very little ambitious challenge in Central Oklahoma, 7-Eleven is getting another serious competitor as Iowa-based Casey's General Store is set to enter the Oklahoma City market. Building permits have been filed for the southwest corner of Wilshire and Council and the northwest corner of Cemetary Road and Reno. 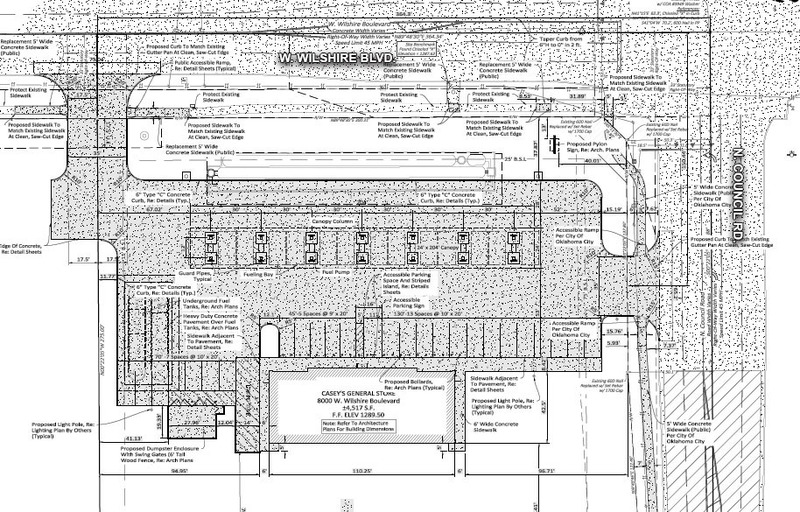 Permits show plans to include extensive kitchens in addition to the standard fuel and convenience items. The move comes as Stillwater-based OnCue Express continues its aggressive expansion in the Oklahoma City area, while 7-Eleven is building more of its own expanded concept stores. The 111 7-Eleven local locations are owned by the Brown family of OKC and are unrelated to other stores in the international chain. Casey's had previously focused on small towns but of late has been making a push into suburban and even urban settings. 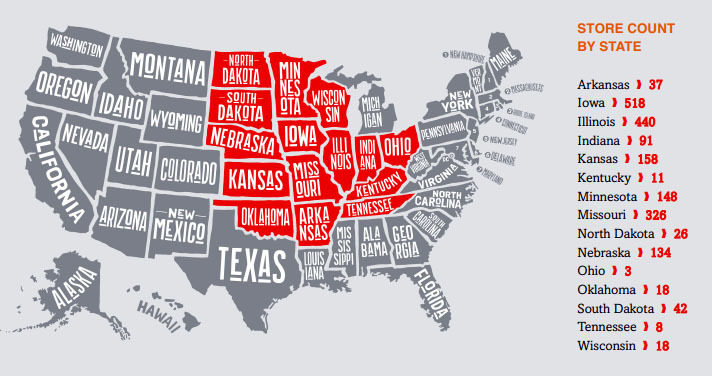 There are 18 locations in Oklahoma, most in the Tulsa area. The bigger and more modern Casey's store design emphasizes highly profitable and fast-growing sales of prepared food and fountain drinks, an industry-wide strategy as sales of lower-margin convenience items and fuel sales slow. OnCue is also adding kitchens to many of their locations after first piloting the program in the 15th and I-35 location in Edmond. Permits have been filed to add prepared food areas to stores at I-40 and MacArthur, 23rd and Santa Fe, SE 29th & Douglas and I-35 and Waterloo. 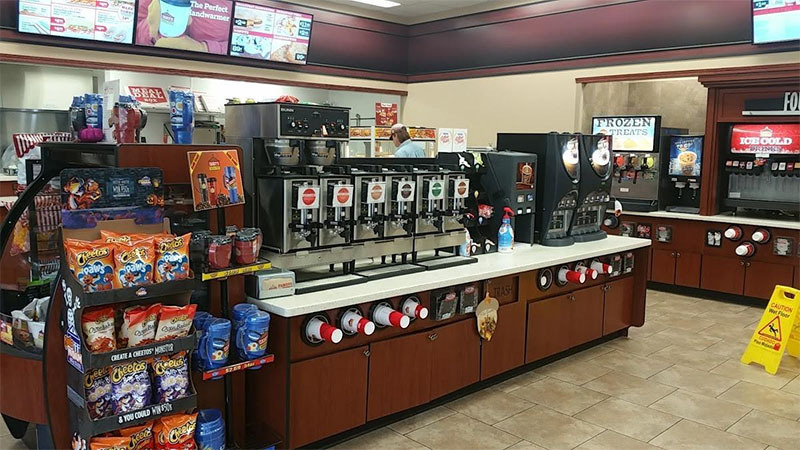 Like OnCue and QuikTrip, Casey's prepares pizza, burgers, subs, and breakfast sandwiches and the local 7-Elevens have been adding kitchens to its newer, larger locations. Calls to Casey's headquarters were not returned but the company's typical strategy is to open a dozen or more locations once in enters a metro area, either through new construction or acquisition.